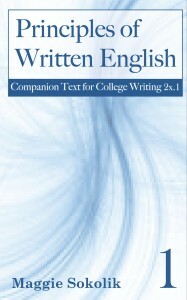 The Principles of Written English workbooks accompany the online course, College Writing 2x, Principles of Written English, a series of three courses offered by College Writing Programs of the University of California, Berkeley through edX.org. 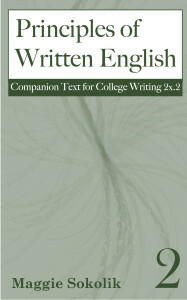 You do not need to have taken the first course to benefit from using the workbooks. Volume 3 will be available soon.